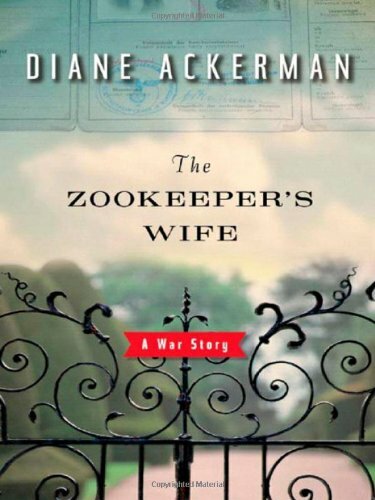 Based on the true story that inspired Diane Ackerman’s 2006 novel, The Zookeeper's Wife is set for release March 31, 2017. The film is one of a dozen movies directed by a woman I’d been hoping to see this year, in a way I’m grateful it’s not on this year’s schedule. It means I (and you if you’re a fellow procrastinator) still have oodles of time to read the book. 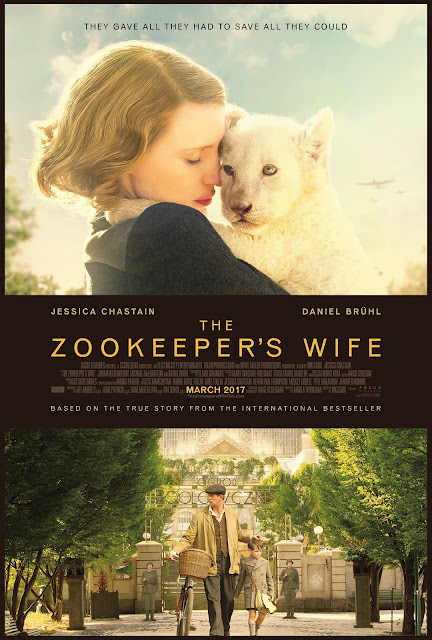 Set in war-torn Poland in 1939, Jessica Chastain stars as Antonina Żabiński, who helped her husband Dr. Jan Żabiński (Johan Heldenbergh) run the Warswaw Zoo. As the country is invaded by the Nazis and Jews are being ripped from their homes, Antonina convinces her husband to use the zoo to hide escaped Jews. Their mission becomes increasingly more dangerous under the suspicious eye of the Reich’s newly appointed chief zoologist, Lutz Heck (Daniel Brühl) . Niki Caro, the New Zealand filmmaker best known for Whale Rider—and rumored to count Captain Marvel among her upcoming projects—directs. Angela Workman who adapted Lisa See’s beautiful Snow Flower & the Secret Fan wrote the script. From the little bit this trailer reveals, I’m looking forward to it more than ever.